Voting is at the Stella Town Hall, 2496 County Hwy C, on election day from 7:00 a.m. - 8:00 p.m. Polling place is accessible to elderly and disabled voters.  New voters can register to vote on election day if he or she has resided in the Town of Stella 10 days prior to election day with no intent to move. Proof of residency is required. New voters can also register by mail by contacting the municipal clerk or on-line at MyVote.wi.gov. Online voter registration launched on January 9, 2017. If your WI Driver License/ID is current, you may now register to vote online during open registration without printing your application and mailing proof of residence to your municipal clerk. Easy and fast. For more information, please click on My Vote Wisconsin link above. Contact your municipal clerk and request that an application for an absentee ballot be sent to you for the primary or election or both. You may also submit a written request in the form of a letter or you may apply for an absentee ballot online at MyVote.wi.gov. Your written request must list your voting address within the municipality where you wish to vote, the address where the absentee ballot should be sent, if different, and your signature. You may make application for an absentee ballot in person, by mail, by email or at MyVote.wi.gov. 5 pm on the fifth day before the election, Thursday, March 28, 2019. The municipal clerk will deliver voted ballots returned on or before Election Day to the proper polling place or counting location before the polls close on April 2, 2019. Any ballots received after the polls close will not be counted. For Voter Registration, Absentee Ballots or any questions regarding the voting process, please contact Stella Town Clerk, Amy Zdroik, at [email protected] or call (715) 490-5754.
or visit your local DMV office or call 1-844-588-1069 for more information.